No knitting for a week!! Seriously that’s what the doctor told me. I’m not very happy about it. When I told him that I knit he was very surprised and said it needed rest and wrapped up for a week. I don’t know what to do with myself. I like to knit while I watch TV at night and I can’t do that so I’m lost. Getting an X-ray done today to just be sure. At least the swelling is down. Hopefully by Friday I can get back to my knitting. That is grim. 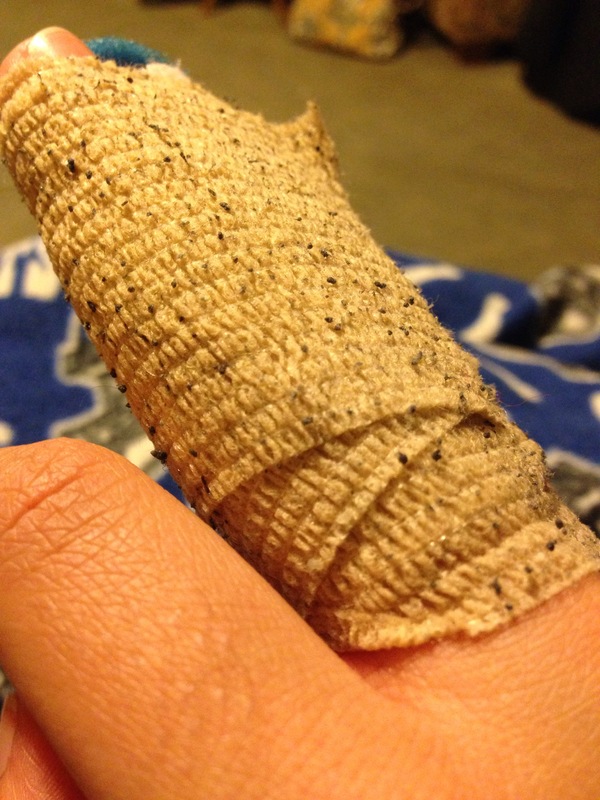 I bet you figure a way to knit without using the sore finger. OR, you will spend a lot of time on Ravelry queuing up great patterns and ordering yarn for them, for when you get better, right?